There are plenty of bicycling opportunities within this active community. Cleveland Velodrome! 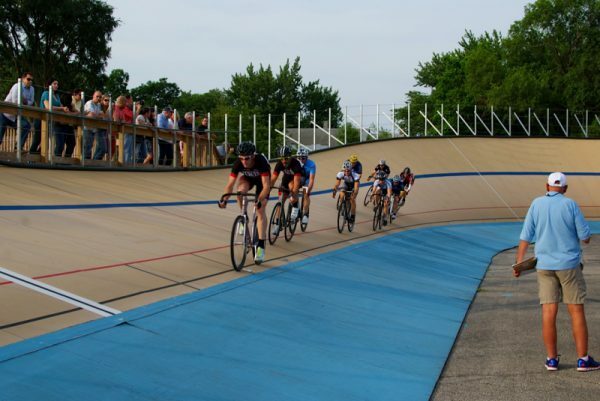 Be sure to visit and ride the only Olympic-grade cycling track in the region! Don’t be intimidated – there are beginner level classes open to riders of all ages! You can also follow the Velodrome on facebook here! Morgana Run Trail! Completed in 2007, the trail runs along a former rail corridor through Slavic Village. The trail begins on E. 49th Street just north of Fleet Ave and terminates near the Garfield MetroParks Reservation. The trail ends on the south at the tallest waterfall in Cuyahoga County at Mill Creek where it meets the trail to Garfield Reservation. Click here for other details per the City of Cleveland. Ohio and Erie Canal Towpath Trail! This multi-purpose trail was developed by the National Park Service and is the major trail throughCuyahoga Valley National Park. From it you can make connections to many of the natural and historic sites in the park, and other intersecting trails. The trail is constantly being lengthened with final connections to downtown Cleveland!